Since 1950, Fuda Tile has been importing direct from the finest factories all over the world with over 400 tile designs in stock to choose from and millions of square feet of ceramic, porcelain, mosaic, granite, glass, and marble tile and stone at guaranteed best prices. Visit any one of our five NJ tile stores each with huge showrooms showcasing over 100 kitchen and bathroom tile displays for your inspiration. Our tile store in Ridgefield, NJ has a 40,000 square foot fabrication center and indoor slab yard. Whether your project needs include kitchen tile, bathroom tile, floor tile, bathroom vanities, vanity tops, or kitchen countertops, we are sure to have what you're looking for. 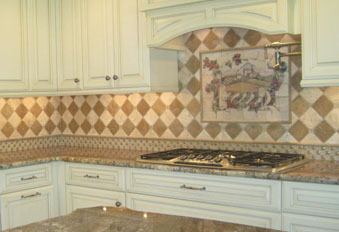 As a tile wholesaler and direct importers we have hundreds of designs to choose from. 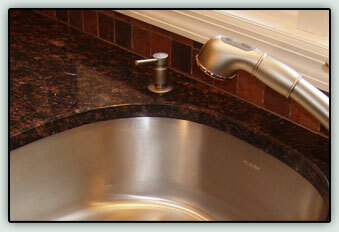 We are expert fabricators of custom marble, quartz, and granite countertops with an onsite factory and indoor slab yard. Choose your own stone for your project. 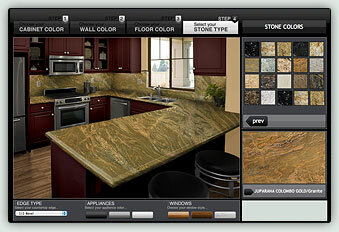 Work with countertop colors, cabinet colors, tile, floors, backsplash colors and create your desired kitchen. Fuda Tile Inc. is one of the most reputable importers of natural stone and ceramic tile. We are the industry leader in custom marble and granite fabrication for your kitchen countertops, bathroom vanities, and more! It’s all installed and looks great. You love it! You love showing it off! Now, let’s keep it looking that way. Tile care and maintenance are a necessary evil. But it’s not as difficult as you may think. Just follow our simple recommendations and you’ll always have that gorgeous new look.